handle drops of 6 feet. The M2 is versatile, user-friendly and cost-effective. • Clam-shell media access for simplified media loading. • Portable and ultra light at 2 lbs. 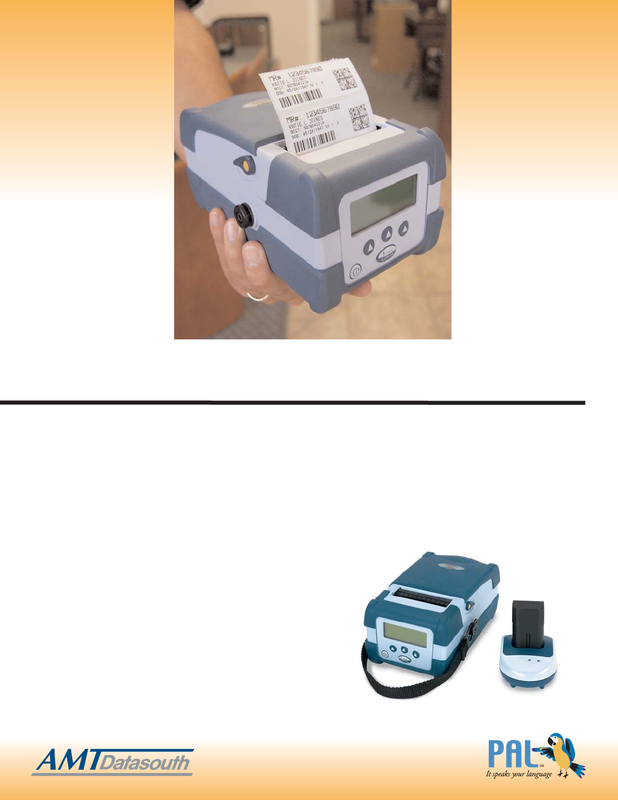 • High powered (7.4 volts DC) battery prints up to 3000 (3” x 1”) labels. • Charger and two batteries included. • BIG “Easy” to read multi-line LCD display. • Dual sensor media detection. • Prints media up to 3” wide. media slot with adjustable guides. • Standard label peel off module. • Standard USB and RS-232 Serial ports. • Wireless and Bluetooth models available.